Iran’s President Hassan Rouhani has hit out at the United States over its reinstatement of economic sanctions. He described the measures, which came into effect overnight, as “psychological warfare” which aimed to “sow division among Iranians”. The sanctions take aim at various sectors, with further punitive action planned against Iran’s oil trade. The European Union has spoken out against the measures, vowing to protect firms doing “legitimate business”. 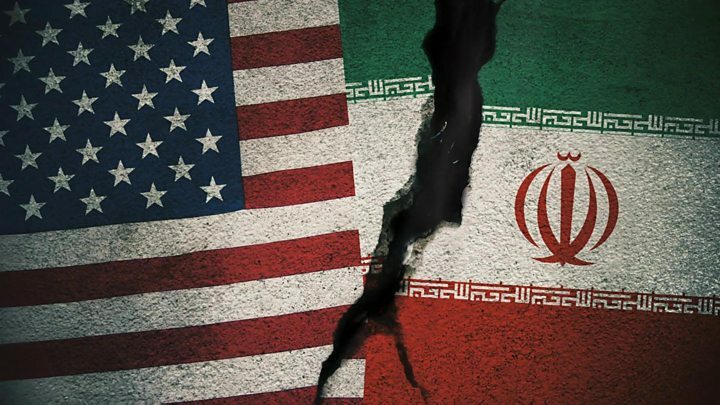 It follows the US withdrawal from the Joint Comprehensive Plan of Action, also known as the Iran nuclear deal, earlier this year. US President Donald Trump says the deal is “one-sided” and he believes renewed economic pressure will force Iran to agree to a new deal and end its “malign” activities. Why is the US implementing them? The imposing of sanctions follows Mr Trump’s withdrawal from the 2015 deal earlier this year. Mr Trump had long spoken out against the agreement, labelling it “disastrous” and the “worst deal I’ve ever seen”. Only the US has withdrawn, with other signatories remaining committed to the original agreement. Mr Trump says Iran faces a choice to “either change its threatening, destabilising behaviour and reintegrate with the global economy, or continue down a path of economic isolation”. “I remain open to reaching a more comprehensive deal that addresses the full range of the regime’s malign activities, including its ballistic missile programme and its support for terrorism,” Mr Trump said on Monday. Mr Rouhani said the US government had “turned their back on diplomacy” with the action. He also accused the Trump administration of using Iran as domestic political leverage ahead of November’s midterm elections in the United States. The foreign ministers of Germany, the UK and France released a statement on Monday that said the nuclear deal remained “crucial” to global security. They also unveiled a “blocking statute” which is intended to protect European firms doing business with Iran despite the new US sanctions. The US had previously rejected calls to offer exemptions, with Mr Trump vowing “severe consequences” against firms and individuals who continued to trade with Iran. An anonymous senior US official said that the administration was “not particularly concerned” by EU protection efforts. How will Iran’s economy be affected? Iran has seen unrest since last December over a poorly-performing economy. Rising food prices, unemployment and even poor water supplies have led to protests in a number of cities. 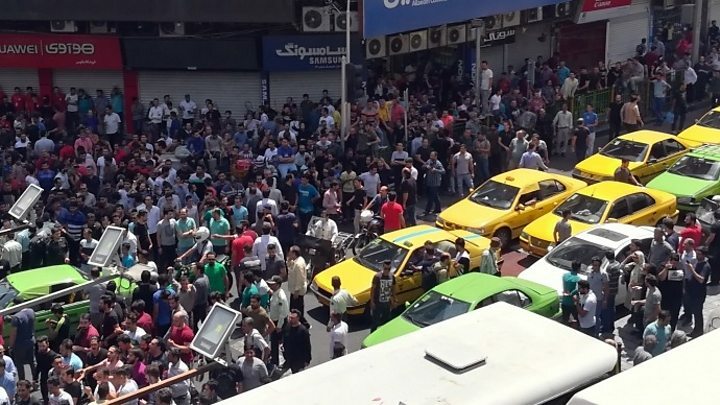 Demonstrations in Tehran in June were said to be the capital’s biggest since 2012. How much they are tied to the new US sanctions policy is hard to determine, but one definite link is the effect on Iran’s currency. It has lost around half of its value since Mr Trump announced the US withdrawal from the nuclear deal. Iran has said it will ease its foreign exchange rules to try to bolster the rial. Iranians have been hoarding gold as a safeguard, pushing it to a record high in Tehran. The sanctions may bite hardest in November, when the US blocks Iranian oil sales. This could halt about half of Iran’s exports of some two million barrels a day, although Iran may look to China and Russia to keep its industry afloat. The International Monetary Fund said in March that Iran’s net official reserves could decline this year to $97.8bn, which would finance about 13 months of imports. And analysts at BMI Research say Iran’s economy could contract by 4.3% in 2019. However, Barbara Slavin, of the Future of Iran Initiative at the Atlantic Council, told the Wall Street Journal that when sanctions hit hard, it often means ordinary people become “totally dependent” on their government and so sanctions do not tend to topple regimes.